As marathon day draws ever closer my fear is tempered with the gratefulness. Sometimes it’s easy to forget how lucky I am that I can just get out and run. And keep running. This weekend I completed anther 20 mile race and it felt good. I thought of Clay as I ran, heard his words in my head: take it easy kiddo, you’ve got all the time in the world. And so I took my time. And this time I hit no walls and felt no pain. My hip and knees held out and I finished the last three miles strong. I would love to run a marathon again…I have to ask myself, am I getting too ahead of myself? Is it too soon to even think about running that kind of distance, let alone run at all? I’m a bit of a desperate man right now, so I look for any loophole in the ‘rules’ given to me by the doctors. My train of thought is this: I’m a forefoot striker type runner and only my heels are broken, so surely I can start running once the swelling has gone down and my heels have repaired? The question is how long will it be until I’m operational again? Can I wait the time it takes? How much damage can I do trying to run too early? Will I ever be able to run long distances again? So many questions, so many variables, how can I stay optimistic amongst all these questions and bloody emotions?! He farts again, it smells horrific. It has a nasty bight to it that stings my nostrils. Every time my buddy Jim and I run together it’s the same: he leads I follow and he farts. My one saving grace is that we are outside and in the bush (or forest if you’re not a Kiwi) and running. It’s not a cracking pace but fast enough that I don’t pass out from the smell. I feel good, no I feel great. Healthy, fit, alive, this is what I live for. This is my escape, my ‘me’ time, the problems of my world melt away the second I start moving through the bush. The birds sing, sometimes at a deafening volume but I love it, the ground is soft, the thick dense New Zealand bush is picturesque and serves as a wonderful shade in this 28 degree weather. 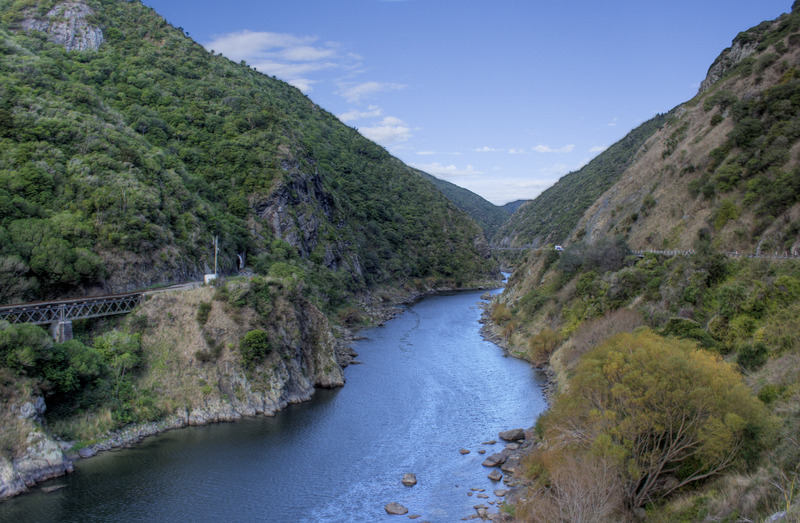 The temperature under the canopy is around 18 degrees, perfect running temperature, the track we are running on is called the Manawatu Gorge walking track; it’s a 10 kilometre track that runs west to east along the southern side of the gorge. It climbs 200 meters on one side and drops 200 meters on the other making our vertical change 400 meters, however we plan to run the track in reverse also making our vertical gain 400 meters and vertical drop 400 meters. Of course it is much more than that, this is New Zealand and if there’s one thing we know how to do here it’s hills, many hills; big, small, and everything in between. The track rarely lets up as we climb to start off, but seldom do we stop running, up and down hills, rarely is it flat enough for you to notice, this is the kind of course your after to increase muscle in your legs. I had recently converted to barefoot or forefoot style running, it took a long time to change without injuring my feet but I feel it was worth it. I no longer have sore knees, ankles or Achilles tendon problems. I do still get problems with the stress fracture in my foot when I overdo it, but it’s much less of a problem when I run on trails. The style of running feels good, I find I’m more upright making breathing easier, my strides are smaller so I feel like I’m more efficient when I run, particularly up hills. To start with my calves were burning when I ran but they got used to it and it stopped being a problem. The biggest change was my speed, I definitely slowed down for a few weeks but after a while the speed came back and I found I could run for longer at the same speed. This might have been due to the millage I was doing of course. Perhaps barefoot running is the answer then, and to run trails to start with. This makes me wonder are there any good trails in England, anything I can compare to home? Or are they just hard slightly rocky farm trails over hills? They might have to do for now and it will be better than running on the road for sure. I could combine it with hiking, something I want to do for my rehab program; I could easily fit in a run at the beginning or end of a hike. So I guess I will have to see how it goes, see how my body takes to walking first; then slowly introduce running. From there I can build up to a half marathon, then a full one. All I can say is wish me luck and let’s hope I the have patience to see this thing through. It will be such a good feeling to be running again and such a good feeling to complete a marathon again. Baby steps all the way.